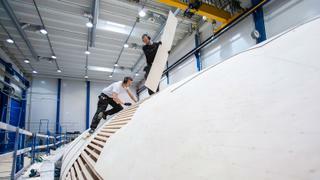 The first hull is due to undertake sea trials in the spring before launching later this year. It was ordered by a client described as “a knowledgeable and skilled racing owner”. Speaking at the yard's press conference at the Boot Dusseldorf boat show, Nautor's Swan chief executive Giovanni Pomati said: "The initial brief was – the fastest superyacht ever built." 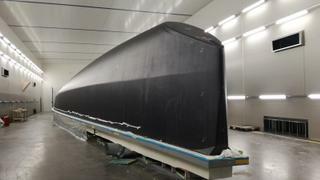 He revealed that a number of modifications have been made to ensure the yacht is capable of breaking transatlantic records. Interior design on the ClubSwan125 been undertaken in-house and includes tributes to classic Swan design, with shapes traditionally crafted from laminated wood now replaced by carbon mouldings. 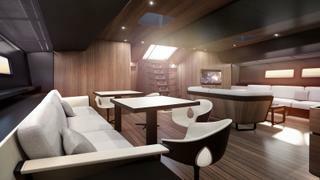 The carbon-finished hull sides are visible in all cabins where hull windows allow light to enter the space. The colour palette of the ClubSwan 125 is dark and masculine complimented with light-coloured fabrics and leathers while key materials include satin-finished walnut as the main veneer alongside natural wood grains and leathers. 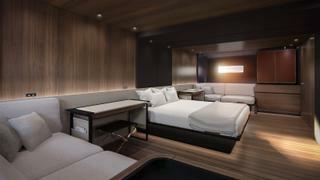 The accommodation layout sees the owner’s cabin and saloon separated from the crew quarters and sail-handling areas. 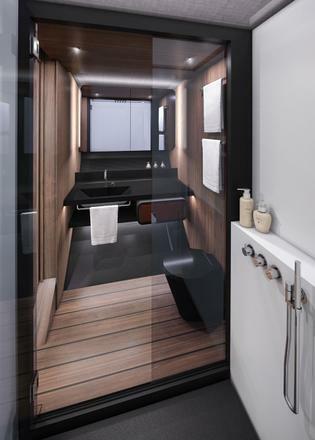 However, the arrangement is versatile and it is possible to split the owner’s cabin into two guest cabins and en-suites by adding a centreline bulkhead. Racing crew areas are located aft while the engine room is located forward of the mast in order to isolate the owner and guest cabins with a noise buffer. 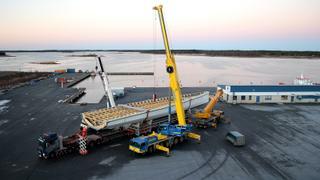 Meanwhile the yard has focused on minimising weight by inserting double functionality throughout the yacht. For example, it described the saloon sofas as “nothing but oversized stringers with cushions on top." Naval architecture and exterior design has been undertaken by Juan Kouyoumdjian and includes the innovative addition of a single curved foil that provides sideways and vertical lift in varying conditions. It will also reduce the drag of the hull and loss of dynamic righting movement. 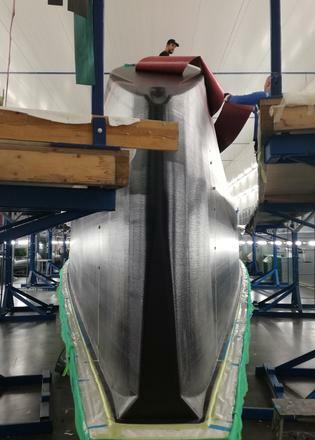 Meanwhile the canting keel will provide the highest righting movement with minimum weight impact. Details about engine installation are still unclear. Nautor's Swan has also teamed up with additional designers, builders and suppliers to supplement the work of Kouyoumdjian and Nautor’s in-house experts. 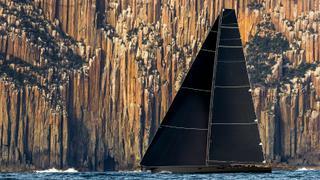 Industry expert Killian Bushe has been brought on board for the construction of the hull while Bob Wylie will focus on the yacht’s deck and sail handling capabilities.